Not everywhere, it seems, wants the tourist dollar. 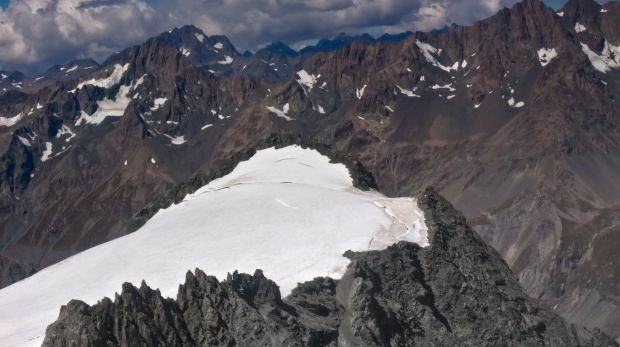 There are plenty of sites around the world that people are itching to go and see, but the local authorities have no intention of letting visitors in. Sometimes it's a complete ban for environmental or religious reasons, and sometimes it's a restriction on getting too close – but don't expect to go to these places and have a free rein. 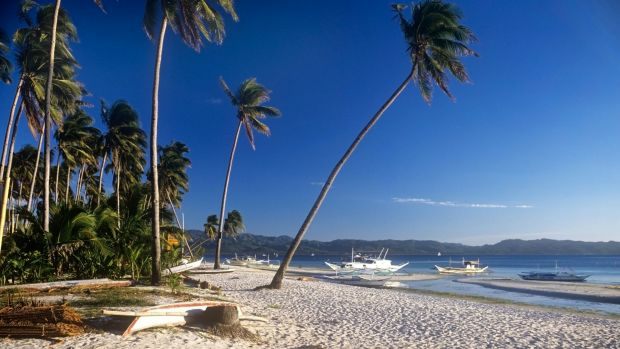 Starting as an in-the-know paradise find in the 1980s, the island of Boracay has quickly become a holiday industry cash cow for the Philippines. But unregulated development and sewage pipes dumping raw effluent into the sea have turned it into a "cesspool", according to Filipino president Rodrigo Duterte. 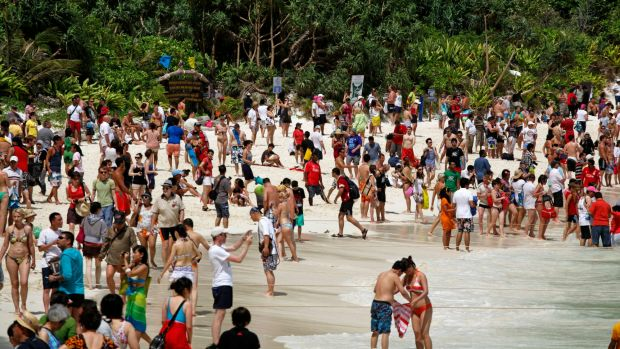 Boracay's not the only south-east Asian beach heaven being closed off – Maya Beach on the Thai island of Koh Phi Phi Leh is getting its own four-month tourist ban too. Made famous by the Leonardo DiCaprio film, The Beach, it will be shut for four months from June in a bid to halt environmental damage and protect the island's reefs and sea life. 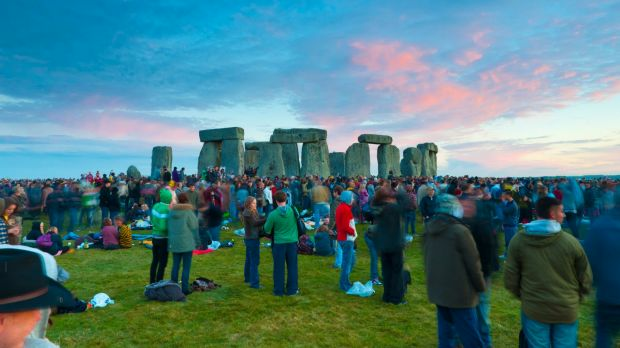 When it reopens, the mass descent of visitors will change too. A daily limit of 2000 tourists a day will be imposed, and boats will be banned from anchoring there. 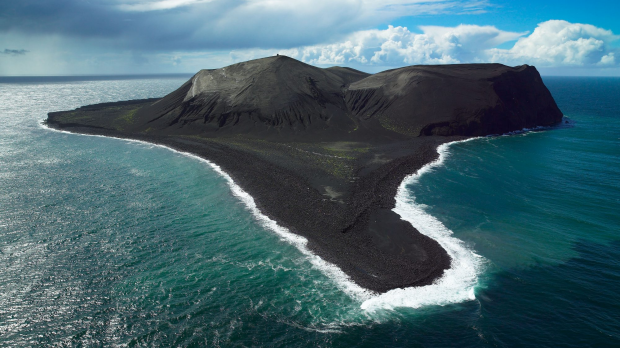 When undersea eruptions kicked off in 1963, the island of Surtsey emerged from the Atlantic Ocean, becoming a new addition to southern Iceland's Vestmannaeyjar archipelago. By 1967, when the eruptions finished, it measured 2.7 square kilometres, and it has been slowly chipped away at by wave erosion since. Not that Joe Public gets to see this, of course. Surtsey was quickly identified as a unique opportunity to study how plant and animal life establishes itself, and declared off-bounds to all but scientists with special permits. The 1960 movie La Dolce Vita has a lot to answer for. The Fellini film has inspired many a well-meaning romantic to go paddling in Rome's lavishly grandiose Trevi Fountain, but anyone attempting that now is in for a hefty fine. 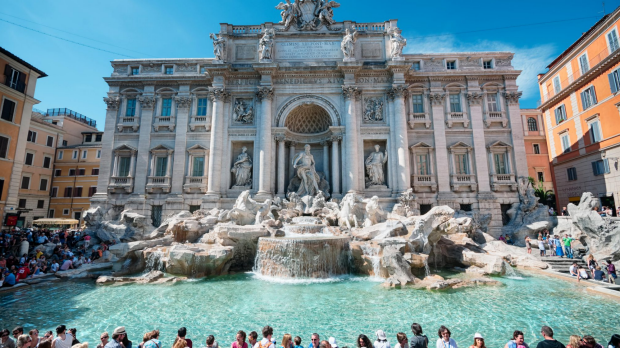 New measures imposed last year by Rome's mayor ensure that anyone paddling or swimming in the fountain can face a fine of up to €240 – and the same applies to anyone sitting on the edge to eat or drink. The entrance to these caves, in the Dordogne region of south-western France, was discovered in 1940. 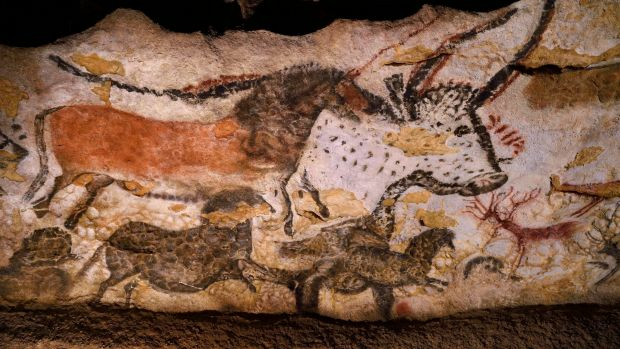 But the adventurers going inside got quite a surprise – finding over 600 wall paintings, largely of animals. These turned out to be around 17,000 years old, and they turned out to be mighty popular with visitors. The collection of more than 100 shrines makes up Shintoism most holy site, and in keeping with Shinto's principles of death, renewal and impermanence, they are rebuilt every 20 years. 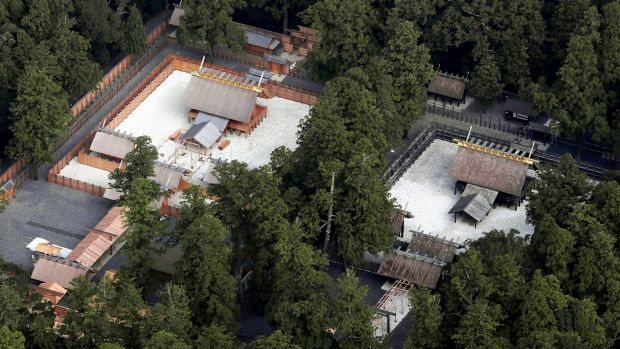 Some of the outer shrines can be visited, but the main shrine buildings are hidden away behind wooden fences, and can only be entered by a few select priests and members of the imperial family. 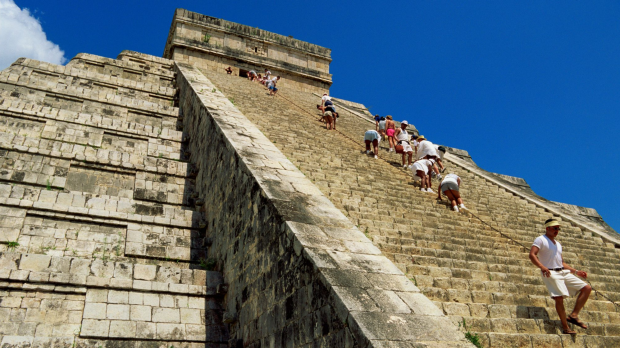 It's still possible to visit Mexico's premier ancient Mayan site, but you can forget about climbing up the centrepiece El Castillo. The 30-metre high step pyramid was closed off to trampling visitors after a woman died falling from it in 2006. It's as much a preservation measure as a safety measure, but the climbing ban also shut off access to the throne room inside El Castillo.